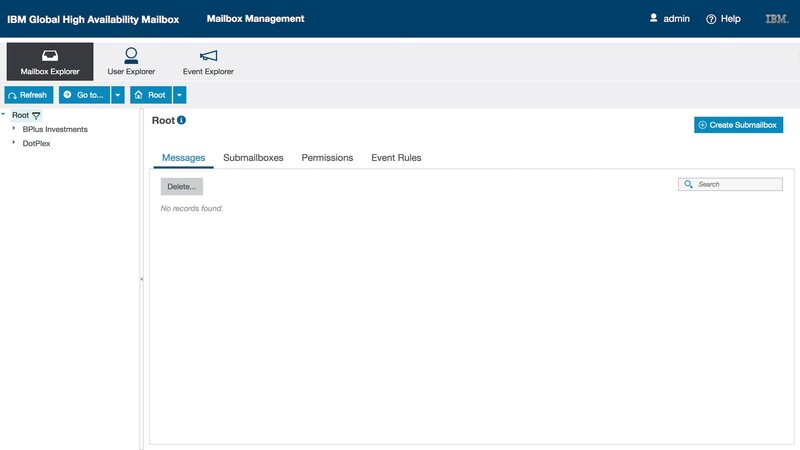 Global Mailbox 6.0 helps companies address demands for high availability operations and redundancy with a robust and reliable data storage solution available across geographically distributed locations. The solution supports active-active communications for disruption resiliency and disaster recovery in near real-time. Global Mailbox is available for B2B Integrator and File Gateway and designed to work with Control Center. Provides capabilities to maintain high-availability and efficient disaster resilience and recovery, including active/active communications. Real-time data replication eliminating the need for backup databases or custom-built approaches to disaster recovery. Flexible and configurable geographic distribution options to meet performance and customer-service level requirements.